FARMERSVILLE – Walking along county roads, especially at night, is statistically more dangerous than taking a stroll through town, and another victim was claimed last week. On Jan. 19, a young couple was walking near a canal in Farmersville when a car drove by, knocking 30-year-old Timothy Shields into the canal. Shields’ girlfriend reported the hit-and-run to 911 and public safety crews immediately responded and began rescue efforts. The Tulare County Fire Department deployed rescue divers into the canal. The California Highway Patrol (CHP) helicopter and Tulare County Sheriff’s Department’s drone unit searched from the sky while numerous officers walked the canal. The search continued for two days before Shields’ body was found in the canal at about 2:30 p.m. on Jan. 21 near Avenue 288 (Walnut Avenue) and Road 156 (Mariposa Avenue) near Linnel Camp just east of Farmersville. An autopsy of Shields’ body determined the cause of death to be trauma to the upper torso but the specific cause of his injuries is still under investigation by the Sheriff’s Department. CHP is continuing to investigate the hit-and-run vehicle that knocked Shields into the canal. Anyone with information about this crime is encouraged to call Detective Brandon VanCuren or Sgt. 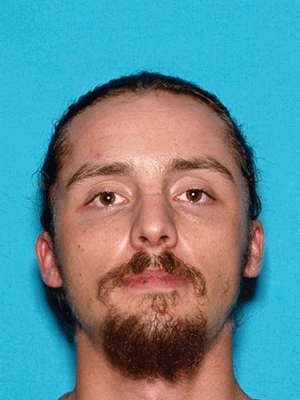 Gary Marks with the Tulare County Sheriff’s Office Violent Crimes unit at 559-733-6218. Or they can remain anonymous by calling or texting 559-725-4194 or by email at tcso@tipnow.com.